First day of Saturday classes is just a week away. Classes start next Saturday, 9/19, at 9:30 am. We're looking forward to meeting new and returning students, staff and families. We will have coffee and cookies to share during the meet and greet prior to class assignments. Schultüten will be available to purchase (all proceeds go to EGLS). Looking forward to see you all there! 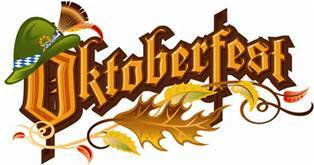 Mark your calendar for our 5th annual Oktoberfest! Get your Lederhosen and Dirndls ready for the 5th annual Oktoberfest at Benson Barn in North Bend on Saturday, 10/24, from 5 - 10 pm. EGLS alongside SAGA and GLS (Seattle based German schools) will be hosting this family-friendly Oktoberfest celebration with traditional Bavarian dishes and dance performances, fun games for the kids, and beer for the adults. You don't want to miss this event!